Today, I’m reviewing Lemon / Citron (51). It’s more of a marigold yellow to me than a lemon yellow, since it has a stronger orange tone. The finish is a cream, and it’s not whitened enough to qualify as a pastel. It’s just a nice, bright sunny yellow. It has a stronger gold tone than Zoya Darcy, but otherwise they are similar. 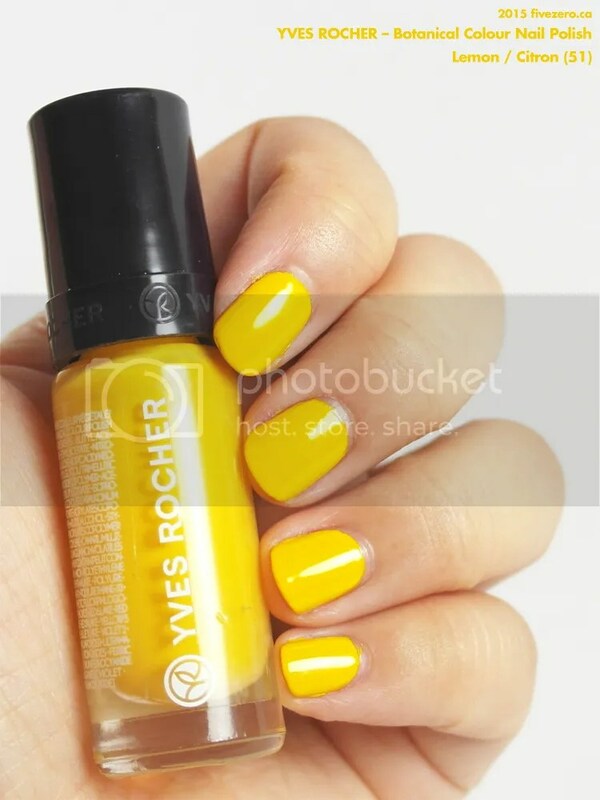 While the formula falls a little short compared with the other shades I’ve tried from this line, it’s a great option if you’re looking for a summery yellow! I love these shades for enhancing a tan. Thanks! It is definitely a fresh color! Omg that’s so cute!! Did Victoria Styles see this? She just got a perfect matching bag!!!!!! I have no idea 🙂 That would be a gorgeous bag!